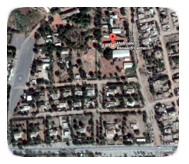 The study has been implemented by the HRC based on the contract agreement signed on 4th. 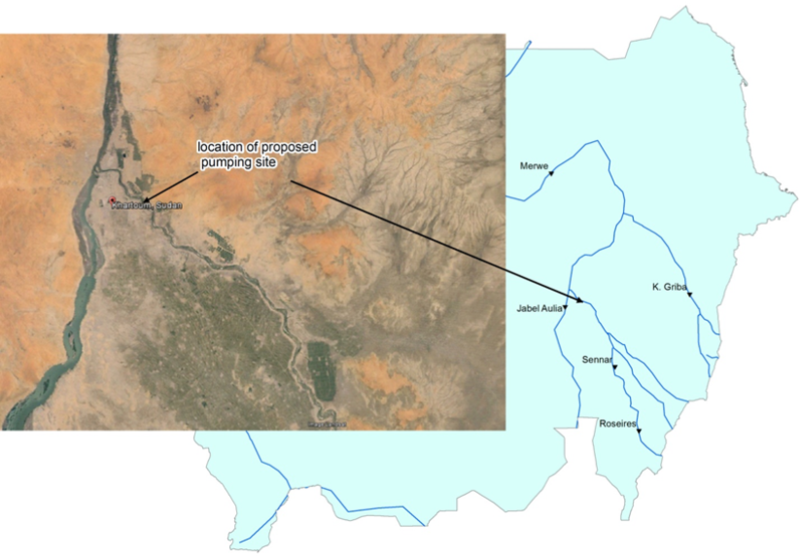 of April, 2016, between “Khartoum State Water Corporation, KSWC”, as a Client and the “Hydraulics Research Center, HRC”, of the Ministry of Water Resources, Irrigation & Electricity (MWRIE), as a national pioneer institute in the field of river morphology, on consultancy basis. 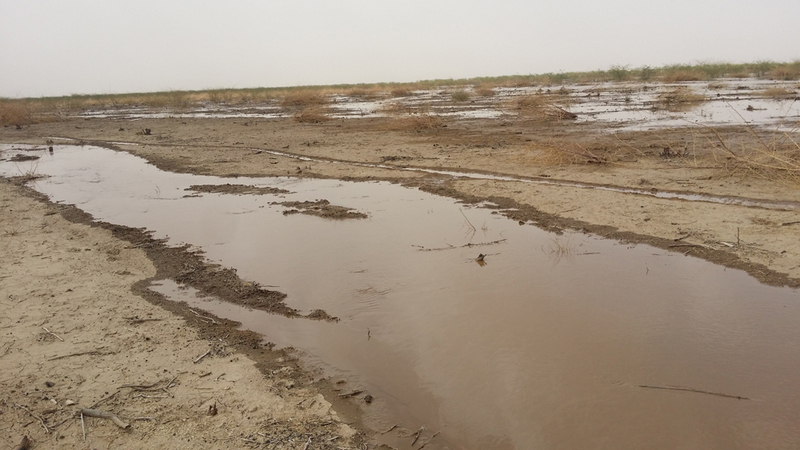 The study is supposed to investigate the problem of the intake of North Bahri-El Tamaniat Pumping Station. 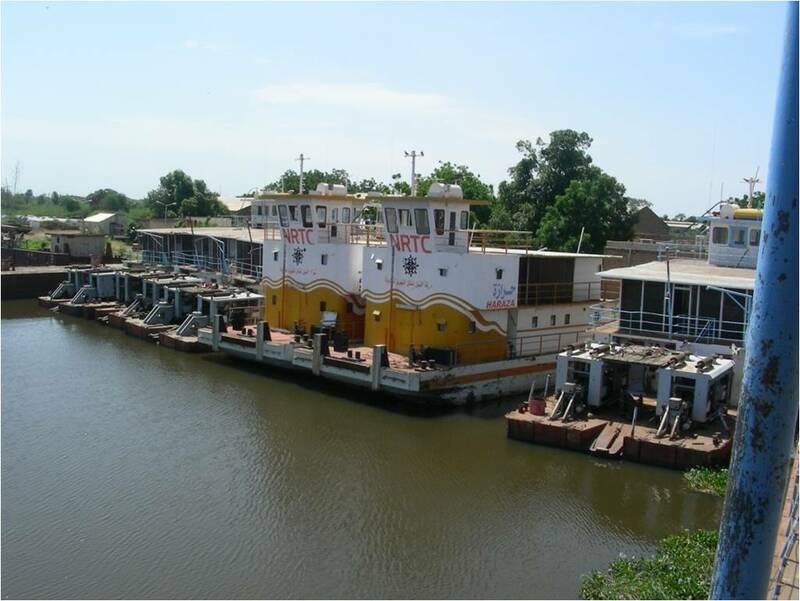 It includes results of the hydrology and morphology of the Main NileRiver in the neighborhood of the pumping station. 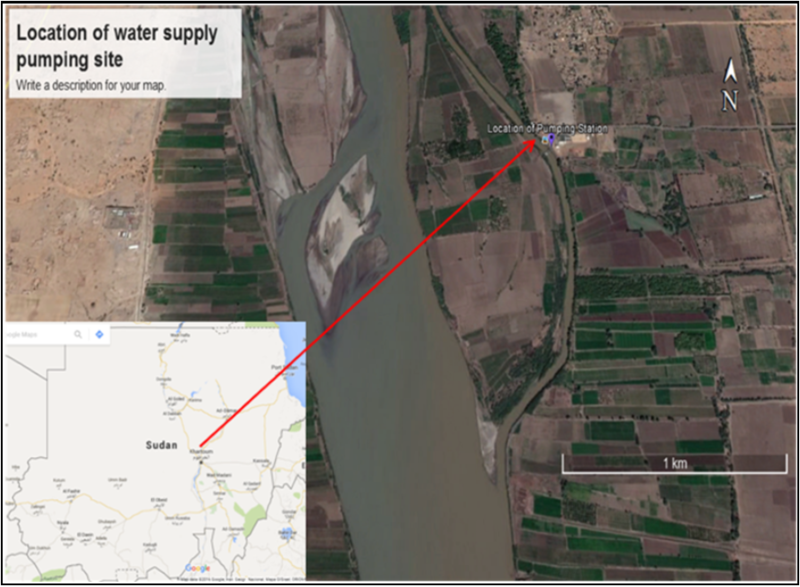 This covers the Main Nile reach between “El Saggai” village, and “El Shaikh El Tayeb” village, where the pumping station is located. 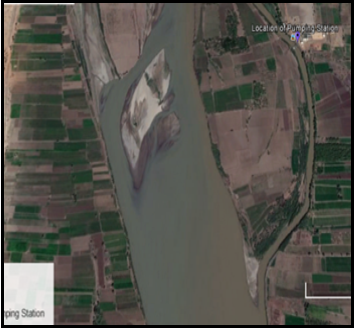 The North Bahri–el Tamaniat Pumping Station (NBTPS), has been installed at the Eastern Branch of the Main Nile, west of el Tamaniat village (Fig. 1). The station supply domestic water for the population extending from Al Kadaro village in the South, up to Garri village in the North. The design capacity of the station is 50,000 m3/day. The station was commissioned in August 2008. The domestic water is distributed by the ratio of 7:3, i.e. 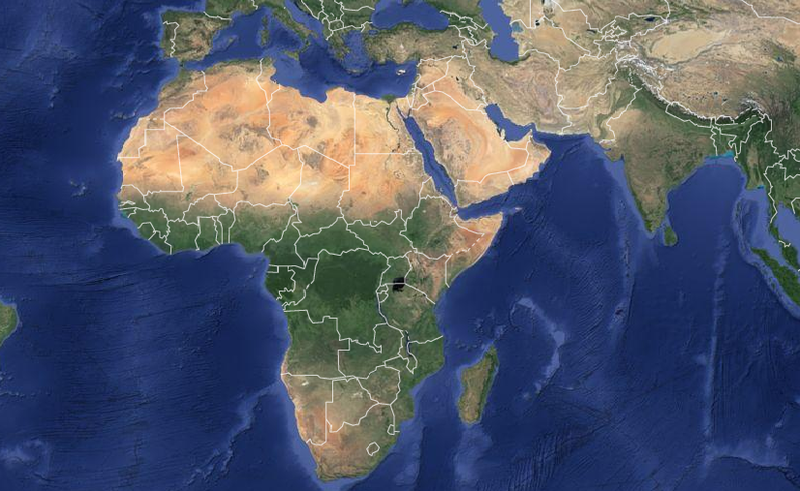 35,000 and 15,000 m3/day, between the north and south served areas, respectively. 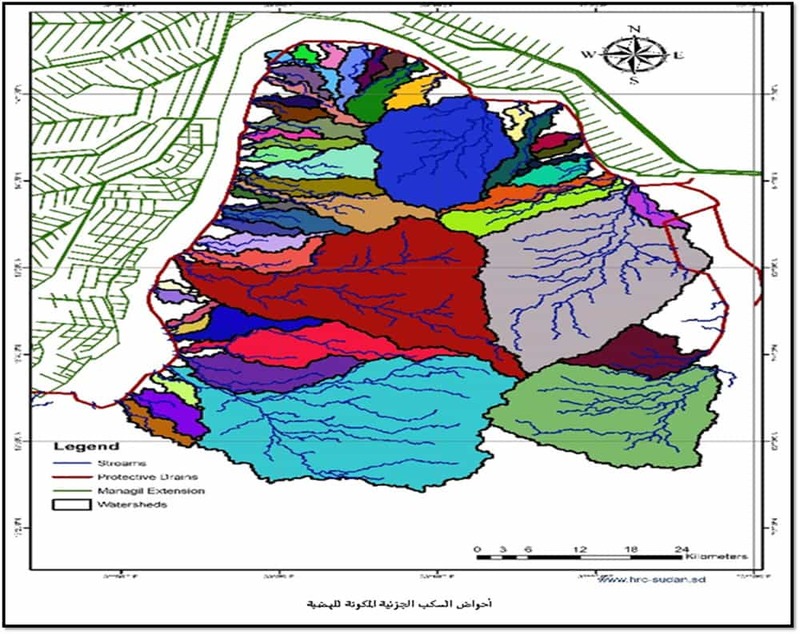 The main objective of this study is to give a technical advice on the best way or interventions that has significant effect in changing the morphology of the river, in order to divert more flows towards the vicinity of the North Bahri – el Tamaniat Pumping Station (NBTPS). 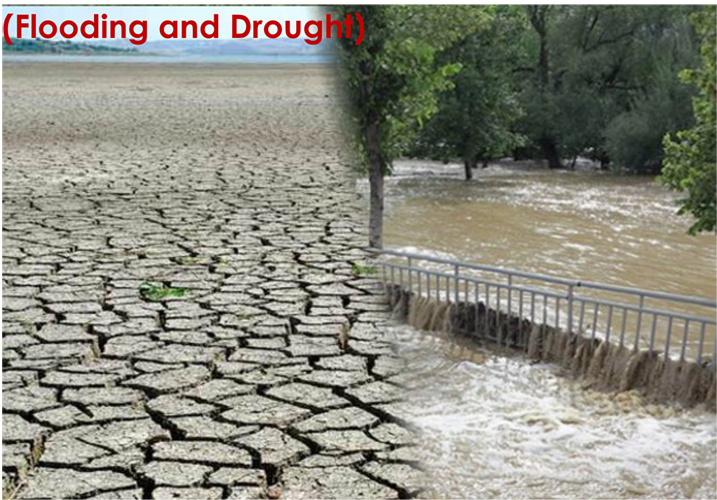 The variation of water level, and hence expected river discharge and water depth in front of the pumping station is analyzed. 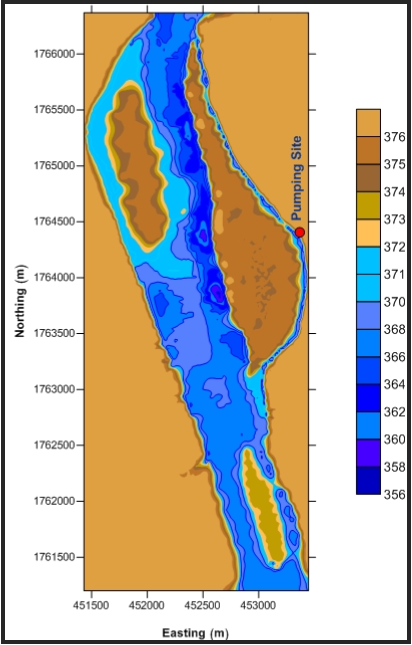 Limited field surveys (land & bathymetric) were done to measure the current river cross section in the vicinity of the pumping site, as well as the proportion of flow during the time of measurements. 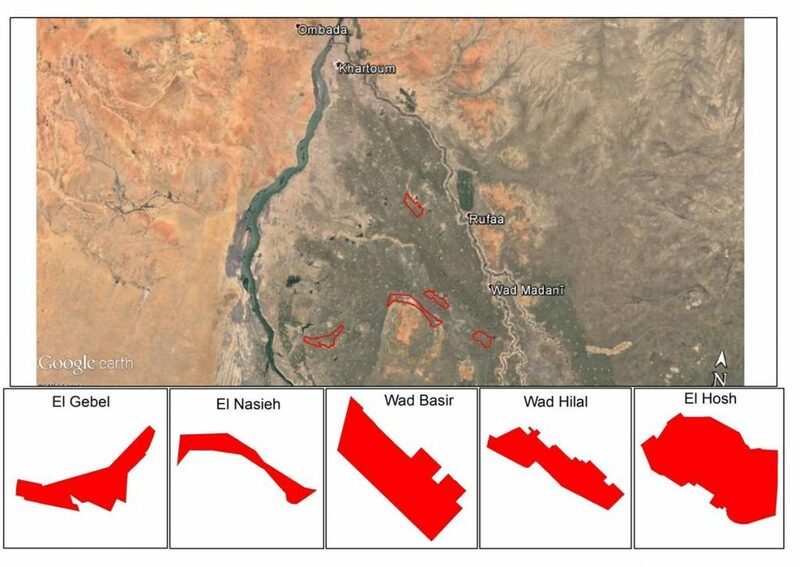 The historical morphological changes during recent years near North Bahri – el Tamaniat Pumping Station. This has been done to learn how fast morphological changes, or the formation of the island, has taken place. 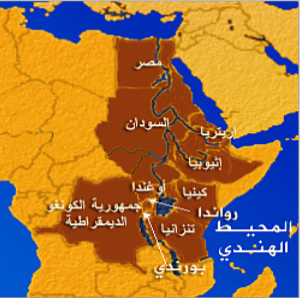 The impacts of upstream development along the Blue Nile river are discussed. The possible interventions to improve the water supply at the pumping site are discussed in detail.